Cars.com has revealed an interesting data claiming that the car lovers are still in fond of esteemed station wagon, even when the popularity of crossovers and SUVs are on the top. Volkswagen Golf Sportwagen, accompanied with 2015 Subaru Outback wagon, was named among the top selling cars in April 2015. After the second month, Volkswagen’ innovative long roof series of the Golf remained on the top for an average of just two weeks earlier, before getting retorted by a cognizant purchaser. 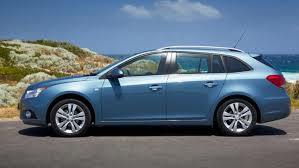 And the increased popularity of Sportwagen bodystyle resulted in enhanced sales reaching 1,228 units. The American President and CEO of Volkswagen Michael Horn was much confident about the record sales, as he had expected that the innovative Golf Sportwagen to sooner or later outdo the regular Golf hatchback, which recorded sales of 1,739 units in the month of April. Having strong and positive indications, it seems now easy to achieve increased sales figures in coming days. On the other hand, 2015 Subaru Outback has also attracted so many car lovers, remaining on the top chart for more than 10 days. If we see the data, both of these wagons had been considerably ahead of the automobile market, on the average of 50 days. Although the detailed data revealed by cars.com include crossovers, SUVs, and trucks, making up a combined list of 23 fastest selling cars in April 2015. This entry was posted in News on May 7, 2015 by admin.